AUS: Application Users System and its database. to define users of HOT application. 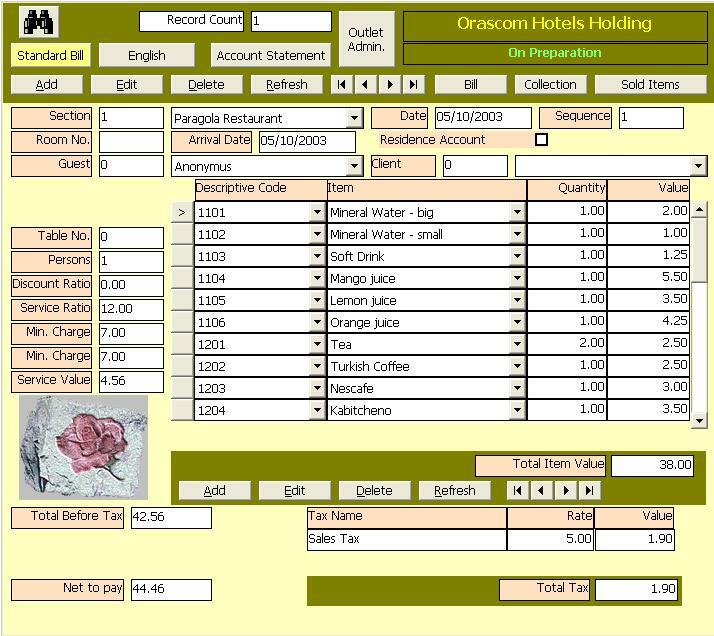 ICM: Item Catalog Management And its database to define items of the hotels. GAS: General Account System And its database. HBD: Hotel Basic Data to define outlets and select its items from catalog. HMSDB: Database of Hotel Application. Before running the order processing application (HOT) the administrator must link operation accounts to the corresponding accounts defined in GAS (General Accounting System) module, Select Cask book for the work station (the computer on which HOT is installed, you may install HOT on more than work station) , Select Outlets (defined in HBD module) for the work station, assign printer to print bills.